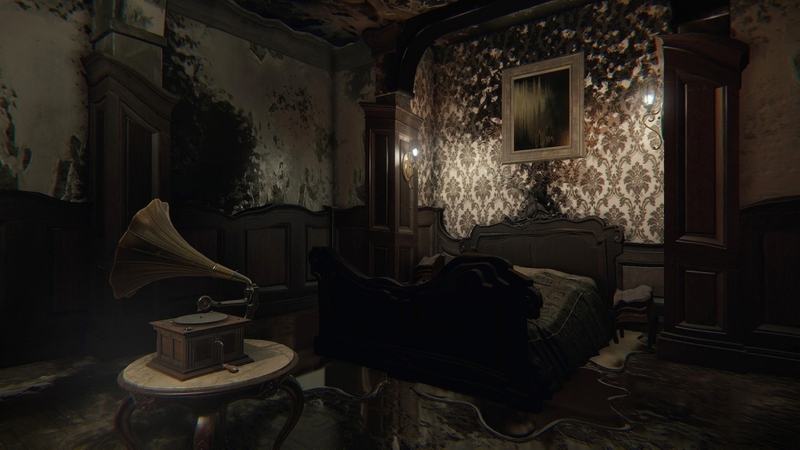 Layers Of Fear is a first-person psychological horror game, developed by Polish studio Bloober Team. 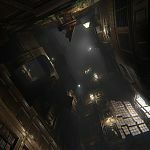 The game centres on an unnamed protagonist, an artist trying to complete his Magnum Opus; you’ll guide him around his vast Victorian-era mansion as he attempts to accomplish this task, and unravel the mystery behind his current state of mind. 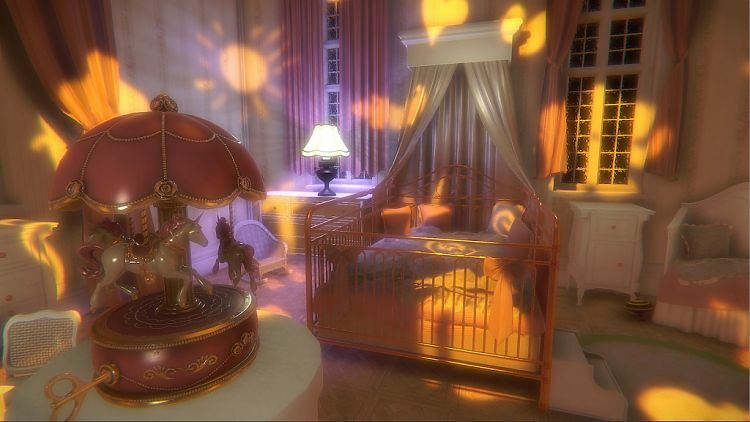 The game begins in the mansion’s entrance one stormy night – thunder and lightning flash and crash; rain lashes against windows, obscuring any view of the outside world – so far, so creepy. You approach a closed door and an icon appears (a hand within a circle). Instructions pop up to show you how to interact with the environment, but from then on you’re on your own. 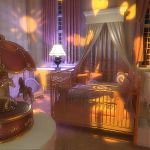 The décor is fairly typical for a Victorian-era home – wooden panelled walls, tiled floors and generations-old furniture and fittings. Everything is neat and tidy, with everything in its place. 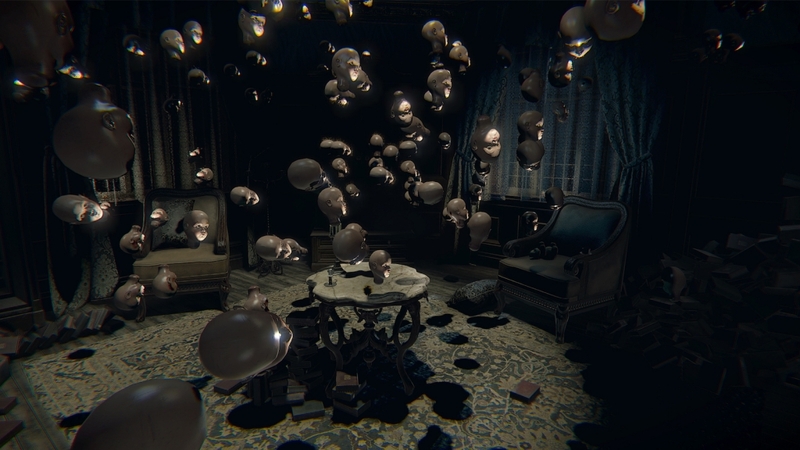 Layers Of Fear’s level of interactivity isn’t as high as similar games I’ve played; I found that I had to run the cursor over damn near everything until I learned this. 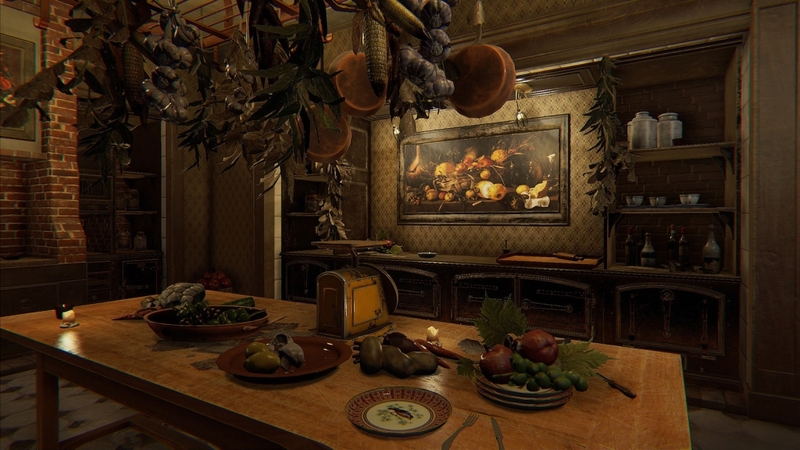 The interaction icon changes from a hand to a magnifying glass to inspect various documents dotted around the mansion, pressing the square button brings up text rather than handwriting, which makes reading some of the hastily scribbled notes found hidden in drawers or laying on desks much easier. 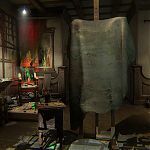 These documents provide the game’s backstory – your character was a renowned artist of considerable talent (for simplicity’s sake I’ll refer to him as The Artist from here on in), whose family life has suffered one tragedy after another. 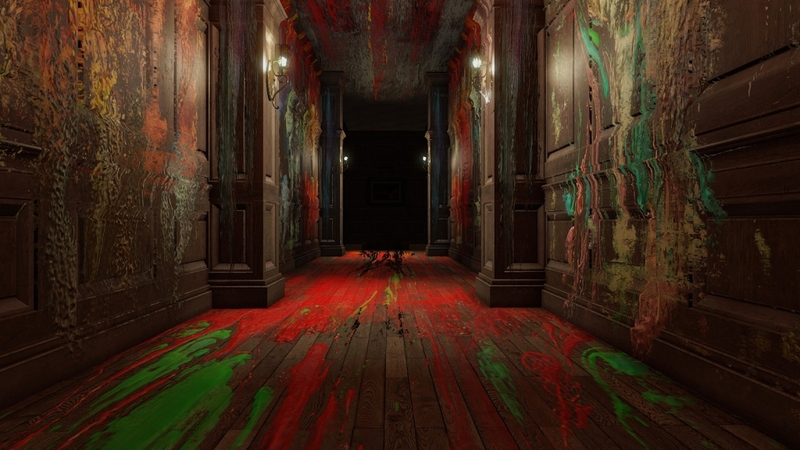 All of his woes have driven The Artist to the bottle – his intoxication is noticeable, as he has the stumbling gait of the perpetually drunk (hampered further by having a false leg), and there’s also evidence of his drink problem scattered throughout the mansion as the game progresses. 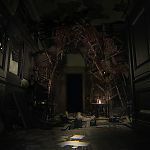 The Artist explores an intentionally restricted part of the mansion at the beginning of the game, which makes you feel relatively calm – a few mild scares (intended to get the heart rate up) aside – you’ll feel relatively confident at the outset. Before long you’ll discover the key to The Artist’s studio, and find an unfinished portrait – his Opus. The studio acts as a waypoint and is the only room that feels somewhat safe. Unfortunately, this room is also where The Artist’s sanity begins to unravel. The studio only has one door, yet when you leave it, the room on the other side is not the same one you left. 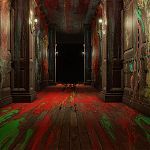 From this point onward you’ll begin to notice scrawled messages on walls, creepy old toy dolls and the occasional rat scurrying about as you make through an ever-changing, and a seemingly endless labyrinth of halls, corridors and rooms. This inevitably leads to a sense of disorientation. 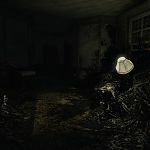 I found myself creeping along darkened corridors at a snail’s pace, such was my sense of trepidation of what lurked around the next corner. 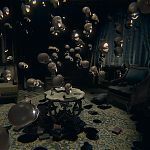 Some of the rooms you’ll enter have riddles to solve – these aren’t initially straightforward, but given time and thought, the solution can be found in the room you’re in. Be warned, completing some of the puzzles drop The Artist into bouts of madness, and makes you question if what you see before you is real or not. 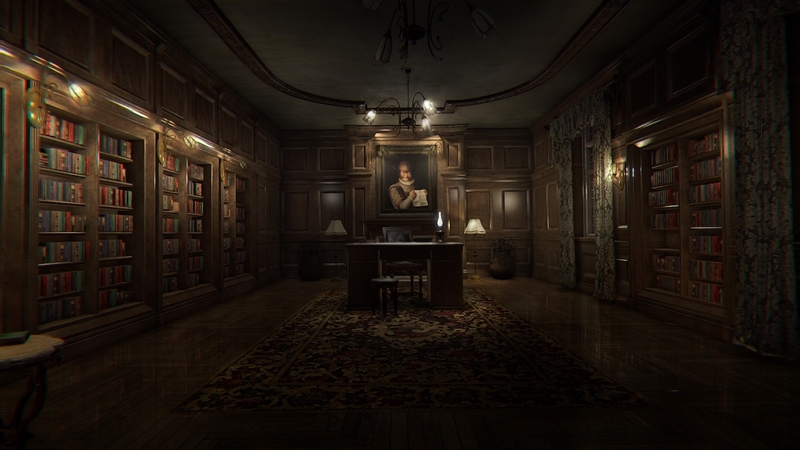 In these “puzzle rooms”, you’ll generally find materials that will help The Artist to complete the portrait. You’ll be led back towards the studio in order to see what The Artist can come up with. 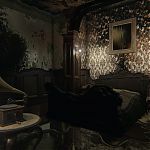 You’ll begin to notice that the rooms and corridors deteriorate the further you venture into the mansion – stonework can be seen behind crumbling walls, and floorboards feel loose and unsteady. The Artist starts to suffer from horrific hallucinations, inspired by both his past and his obvious passion for painting. 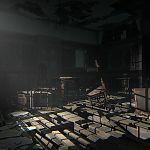 No part of the mansion feels safe, there’s always a sense of dread – the scare level gradually increases as the plot unfolds, ramping up to the max towards the latter half of the game. 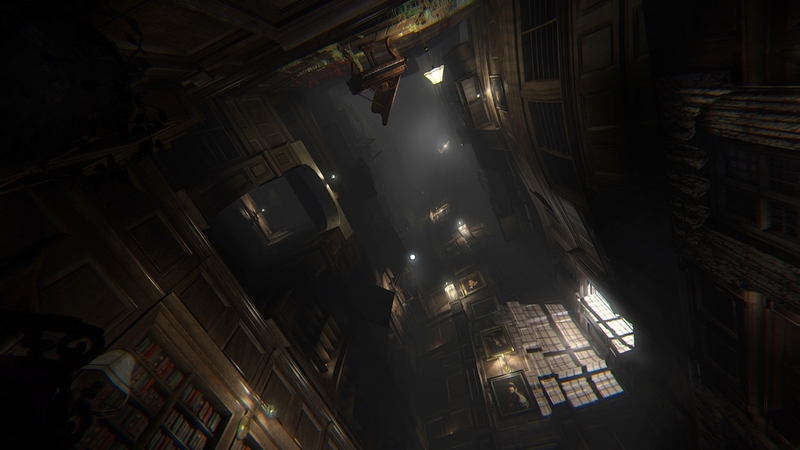 The game’s atmosphere is complemented by a suitably creepy soundtrack. Haunting piano music is accompanied by a lone, ghostly sounding female singing vocal scales. 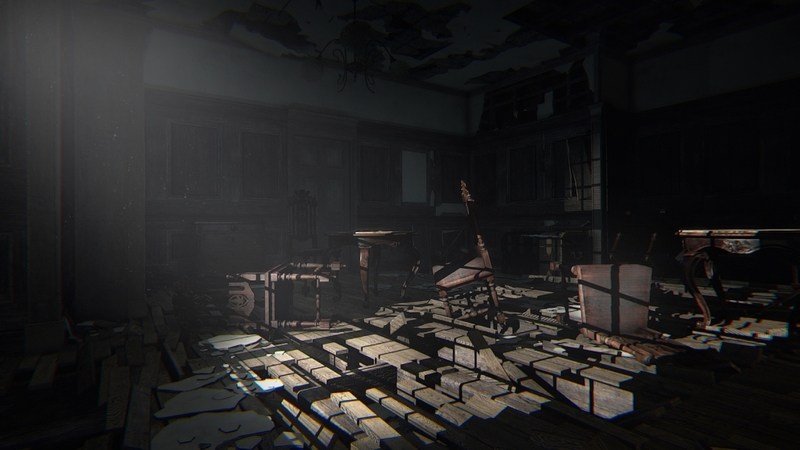 The music pushes the pace of the game, reaching a crescendo during the scarier moments. A mysterious noise off camera makes you spin around to see if you can catch where it came from. Everything within this game is designed to make you feel uncomfortable. Although The Artist is alone throughout the course of the story, there is still a fair chunk of dialogue. The Artist will find trinkets that harken back to happier times, stirring memories that act as the game’s audio log. 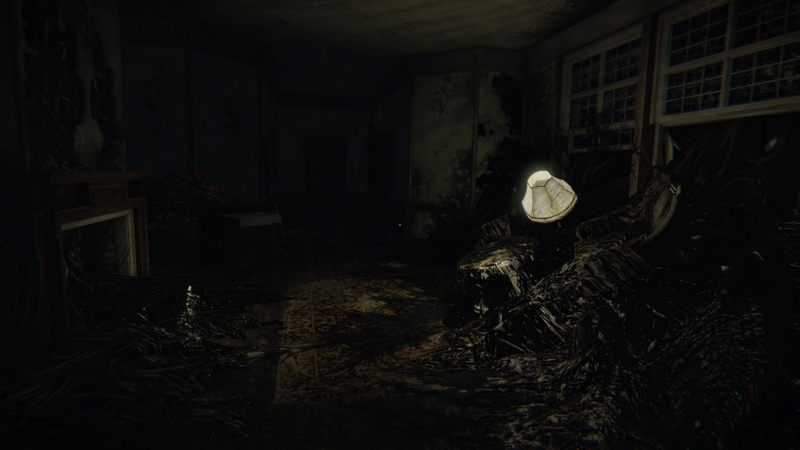 Come close to any of these logs, and the mic on the controller goes bananas with ghoulish whispers. The whispered voices fade in and out as you move closer to, or away from the object – much like a game of Hot Or Cold. 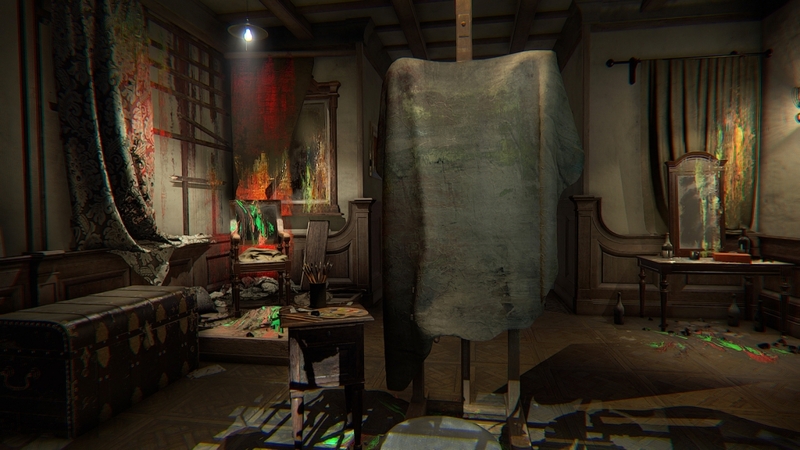 Layers Of Fear will keep you on your toes throughout its cleverly written story, which clocks in at around about six hours of gameplay. If you decide to step away, the game’s load screen shows the Opus’ current state when you boot up again – a nice little touch from the developer. The only downfall is that the game is very linear, and is unlikely appeal to fans of open world games. For everyone else – pop a couple of brave pills, turn the lights down, the volume up and prepare to be scared witless. 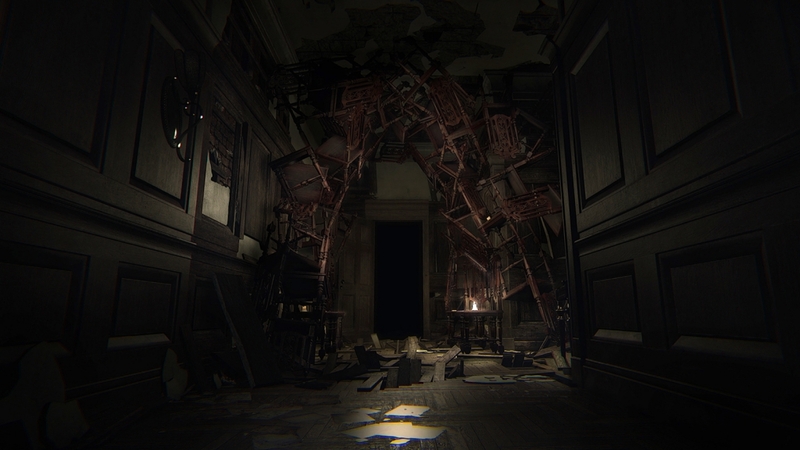 This review is based on playing the PlayStation 4 version of Layers Of Fear .